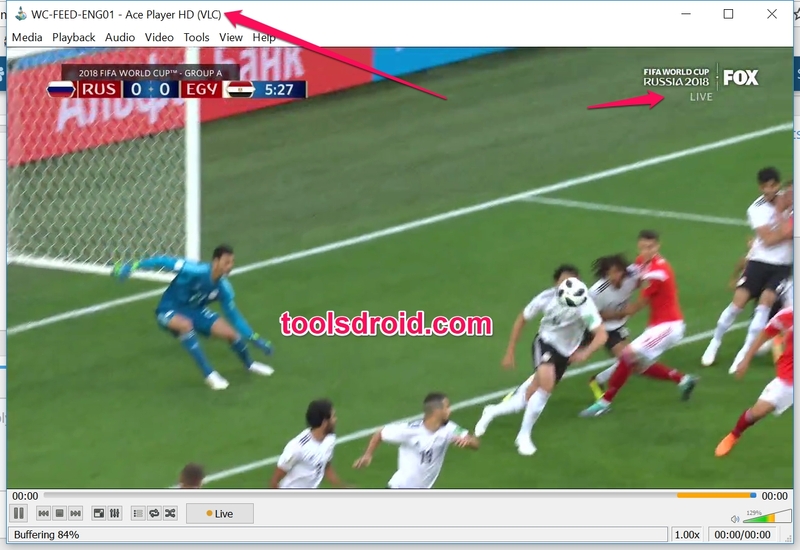 HomeHow ToDownload ACEStream With Daily updated FIFA world Cup 2018 Working links. AceStream FIFA World Cup 2018 Working Links: With the introduction of Fiber Optics and LTE, people now have really blazing fast internet at their homes. So many users have already switched to IPTV (Internet Protocol Television services) and cut off their home Cables. Since the FIFA World Cup 2018 is here, many people try to watch it their Mobile phones, Tablets, Laptop or Desktop Computers. So we are here with the best solution for that. The best and most unique media player for streaming is this AceStream media player. 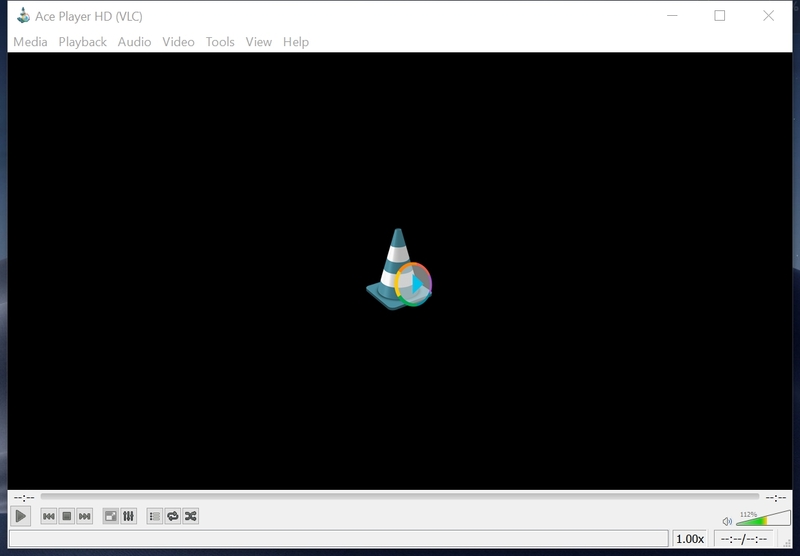 It’s a modified version of the VLC media player. Since the VLC is freeware, so some Russian programers decided to inject their own AceStream scripts into it making it one of the best source for streaming online. Ace Stream P2P Multimedia Plug-in – multifunctional web-player, based on libvlc (plug-in for web-browsers). The Windows version of the AceStream which you can download and install on your Laptop or Desktop PC, running any version of Windows, 10, 8, 8.1, 7, or even XP is here. You can also download AceStream HD Player for Android smartphones and Tablets too. Now that you have downloaded and installed the AceStream HD. It’s still useless until you have the Working links for it. Since it’s the FIFA World Cup 2018 going on, So you might be looking for the updated match links. If you want to get access to the daily updated and Working Acestream 2018 links, then Reddit is the best place. 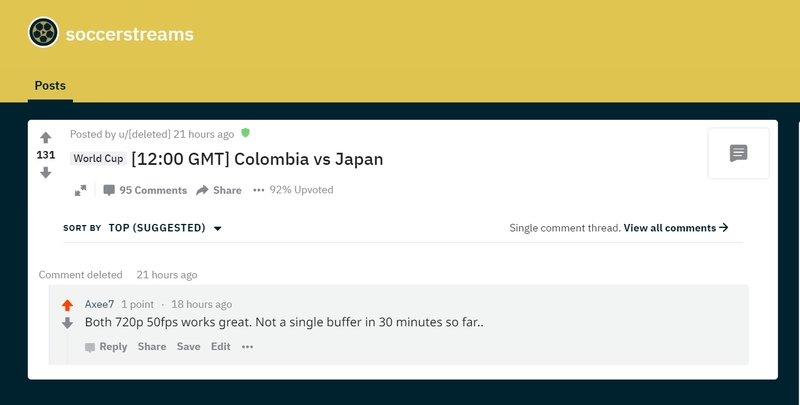 With SubReddit r/soccerstreams has all the updated FIFA World Cup 2018 links that you are looking for. It is a sharing based community with no chance of any click bait sponsored posts. So you can get ads free streaming links over there. It also comes with the List of Paid Subscription Services and Other Streaming Options. This is also known as the den for the Acestream updated links. Most of the links here are shared from reddit. Beside FIFA World Cup Matches Streaming links you can find other sporting and entertainment events links as well. Head on to Acelisting.in to get more. This is yet another wonderful site with AceStream Working Links 2018. Many ISP’s have already put a block on this site. So you may need to have a working VPN to access this site. It has all types of Sports, Football, Cricket, Hockey matches live streaming Links. So you might not any glimpse of Football World cup here too. 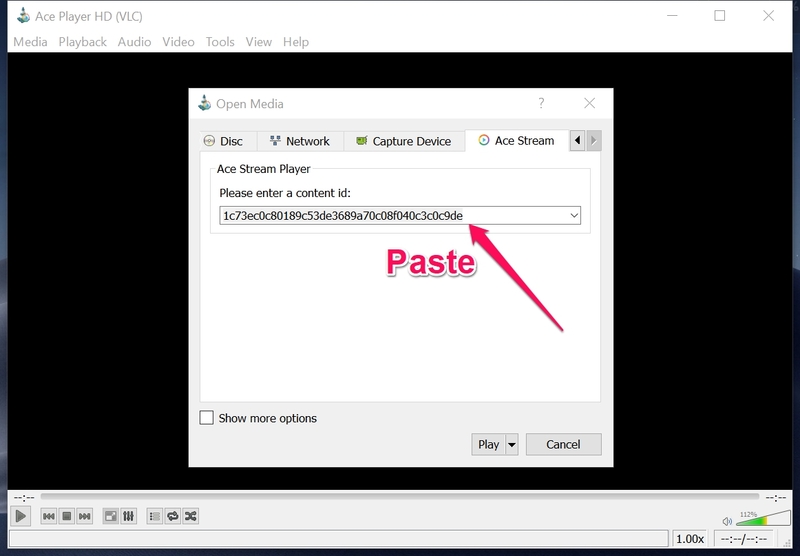 If you have downloaded and installed the Acestream player and the working profile or the link, then you can follow these steps. Go to the Media > Open AceStream Content ID. Then a new Window will pop up. Go to AceStream and Paste the content ID you got from the source links mentioned above. Once done, just click on Play button. In most cases it will show Starting and then Pre-buffering (connected to streams) message in the taskbar. This means that the stream link is ok and working. Just wait for a few moments and your stream will start working. If you are facing too much buffering while watching the live stream on your AceStream player. Make sure to change the links (Content ID), If it still doesn’t work. Make sure to follow this step by step guide to make AceStream Faster and better streaming. Open any Link, opening the AceStream app. For me the AceStream HD is the best streaming player for Android and PC’s. So I do prefer AceStream whenever I have to stream something online. Beside sports you can find some of the best movies and music shows being streamed using the AceStream links. So better get this player and enjoy a totally Ads free and popups free streaming online without the danger of being attacked by any malware or spam.